Amid spreading protests and occupations of state buildings in Ukraine, the country’s business oligarchs met and called on President Viktor Yanukovych to negotiate with leaders of the right-wing opposition backed by the European Union (EU) and the United States. 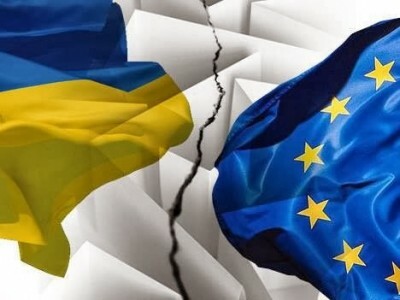 The call came in the lead-up to an extraordinary session of the Ukrainian parliament and EU-Russia talks in Brussels, expected to focus on Ukraine, that are both occurring today. With protests continuing in Kiev, centered on Independence Square, the Yanukovych regime is dissolving in the traditionally more pro-European western Ukraine. Thousands of protesters have seized nine regional administrations in western Ukraine, with three—Lviv, Lutsk, and Ternopil—declaring allegiance to a new “People’s Rada” government based in Lviv. Protests have also spread to southern and eastern Ukraine, traditionally loyal to Yanukovych’s ruling Party of the Regions, in the Zaporizhzhiya, Dnipropetrovsk, and Kherson regions. Most of the street battles around Independence Square, like the takeovers of regional administrations, were waged by only a few thousand protesters, mobilized by the fascistic, anti-Semitic Svoboda party and Right Sector group. The ability of such forces to destabilize Ukraine testifies to the unpopularity and the narrow social base of Yanukovych’s reactionary regime. Broader social layers have also attended opposition protests to express anger at killings by the notorious Berkut riot police and opposition to the regime’s new, draconian anti-protest law. On Sunday, thousands attended the funeral in Kiev of Mikhail Zhizvensky, 25, a Right Sector member killed in clashes with police. Videos have also appeared showing riot police stripping protesters naked. While the Yanukovych regime is teetering on the brink of collapse, the opposition cannot easily take power. It faces broad hostility in Russian-speaking parts of southern and eastern Ukraine. Pro-government protests were reported in recent days in Donetsk, eastern Ukraine’s industrial heartland, and in the Crimea, Kharkiv, Uzhgorod and Luhansk regions. The Council of Ministers met yesterday to discuss the feasibility of resolving the crisis with a mass crackdown. It proposed increasing the number of riot troops six-fold, to 30,000, and buying more ammunition for Berkut and Griffon police units. Under these conditions, a group of Ukrainian oligarchs met yesterday to call for reconciliation between the opposition and the regime. The leader—Rinat Akhmetov, a Yanukovych backer whose $12 billion fortune makes him Ukraine’s richest man—then issued a statement on the web site of his System Capital Management (SCM) group. The regime and the opposition obeyed the oligarchs. In the evening, top Yanukovych staff met with opposition leaders: Vitali Klitschko of the Udar Party, Fatherland Party leader Arseniy Yatseniuk, and Svoboda’s Oleh Tyahnibok. Speaking to the Guardian, Klitschko praised the oligarchs and boasted of his close ties to them. “In private conversations, all the oligarchs support the idea of the rule of law,” he said. “The leaders change, the rules change, and the lack of set rules means business groups can’t be sure they will keep their assets.” This statement points to the anti-worker agenda driving both the Western-backed opposition and the regime. Both are dedicated to defending the reactionary capitalist oligarchy that emerged from the restoration of capitalism in the USSR in 1991. The conflict between Yanukovych and the opposition is only over which geo-strategic orientation—to Moscow or, for the opposition, to the EU—will more reliably preserve the “assets” monopolized by the oligarchs. The current political crisis and opposition protests emerged last year, when Ukraine faced the possibility of state bankruptcy over a $15 billion debt to international banks. Yanukovych first negotiated deep austerity measures as part of a deal to establish closer ties to the EU. His decision to back away from the deal and seek financial aid from Russia—fearing the social explosion that mass cuts to energy subsidies and social programs would create in the working class—triggered opposition protests. Both the pro-EU opposition and the Yanukovych regime are united, however, in their insistence that the international banks will be repaid, and that the costs will be borne not by billionaire oligarchs, but by working people. As different factions of the ruling elite plan for violence and crackdowns—by the opposition’s fascistic goon squads or the regime’s security forces—they are united in their hostility to the working class, and fear of its opposition to their austerity agenda. This situation is an indictment of the restoration of capitalism in the USSR in 1991 and of the reactionary impact of Stalinism on the political consciousness of the population. Capitalist restoration has led to a social disaster in the Ukraine. From 1990 to 2000, the country’s Gross Domestic Product (GDP) fell from $90 billion (4 percent of the world economy) to $31 billion (1 percent of the world economy). The fruits of what economic growth has taken place since then have gone overwhelmingly to a layer of super-rich, parasitic oligarchs who looted Ukrainian state assets during capitalist restoration. In 2008, the net worth of Ukraine’s top 50 oligarchs was $112.7 billion, or two-thirds of the country’s Gross Domestic Product (GDP). Their personal holdings gave them controlling stakes in businesses amounting to 85 percent of the country’s economy. Popular anger with the exorbitant wealth of the oligarchs and their dictatorship over public life is a constant feature of post-Soviet Ukraine. However, due to the Stalinist Soviet bureaucracy’s suppression of the Left Opposition led by Trotsky and of all independent political activity to the working class, there is no organized opposition from the left, based in the working class, to this gangster oligarchy. No political organization inside Ukraine fights for the impounding of the oligarchs’ ill-gotten wealth by the workers in a struggle for socialism. The central issue facing the working class is developing its own, independent struggle against the Yanukovych regime and also the fascistic, Western-backed opposition forces, whose program is utterly reactionary. The support of US and EU politicians for the opposition reflects their hopes that, if the opposition rules Ukraine or a rump state in western Ukraine, it will enable them to step up operations against Russia and the Middle East. In seeking to control Ukraine, US and European imperialism are pursuing broad geo-strategic aims. The country controls two of the three major gas pipelines connecting Russian gas fields to European markets—the Transgas and Soyuz pipelines, accounting for approximately 80 percent of Russian exports to Europe. Ukraine also hosts key naval bases used by the Russian navy during its deployments last September to oppose US plans for an attack on Syria.